MANILA -- Ousted Chief Justice Maria Lourdes Sereno is not running for the Senate next year, ABS-CBN News confirmed Sunday. Sereno, who the Liberal Party earlier said was welcome to join its May 2019 senatorial slate, made the decision after consulting her family, a source from her camp said. This was confirmed by lawyer Jojo Lacanilao, Sereno’s friend who served as her spokesperson during the impeachment trial. “It’s true. She’s not running,” Lacanilao said. Sereno, who has become a vocal administration critic since her removal from the high court in May, earlier said she was open to running for public office. Sereno was not among possible senatorial candidates included in a recent Pulse Asia Survey that listed down 66 personalities. Women topped the roster of those likely to win the midterm polls, led by Senators Grace Poe and Cynthia Villar, Taguig Rep. Pia Cayetano, Senator Nancy Binay, and Davao City Mayor Sara Duterte-Carpio. 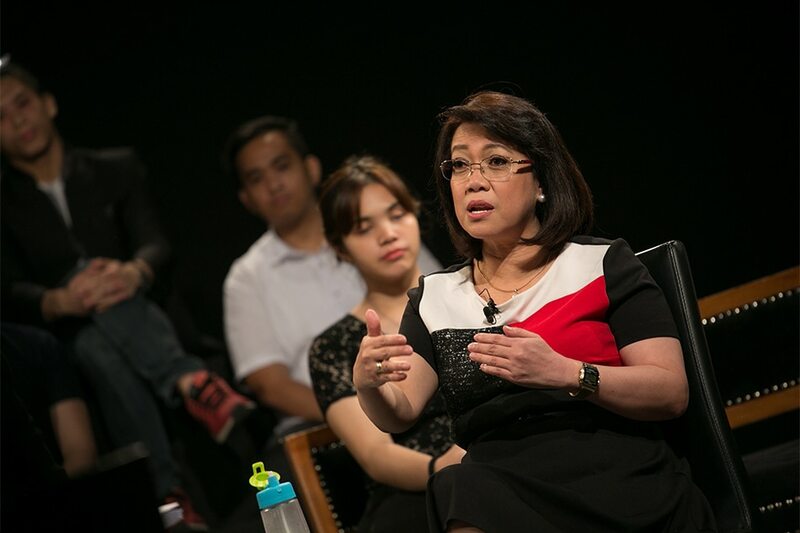 Sereno has been speaking out against the administration, even challenging President Rodrigo Duterte days after her ouster to make good on his repeated statements that he wanted to resign. She later called on the military to remain guided by the Constitution and look beyond Duterte’s term, saying: “Remember that the Constitution is its north star, that they are, by the terms of the Constitution, the protector of the people,"
She said this in a press briefing on September 12 after visiting Senator Antonio Trillanes IV, who has been holed up in his office since Duterte nullified his 2011 amnesty over uprisings against government more than a decade ago. In his proclamation voiding Trillanes’ amnesty, Duterte had ordered the military and the police to take the former Navy official into custody. He later said Trillanes would not be arrested until a court issues a warrant.